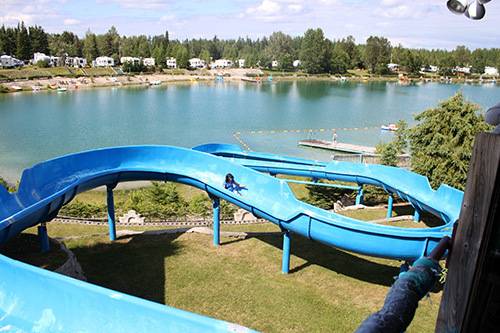 Waterslide, 220 feet long was purchased, reconditioned and installed. A train car was also brought in and turned into 4 rental units. Each one being a housekeeping unit offering a fridge, stove, microwave, toaster, a futon which makes into a double bed, a set of bunk beds, a small bathroom and air conditioning.